Indianapolis – Linda Darlene Graves, 58, passed away peacefully at home Sunday, June 17, 2018. Linda was born Wednesday, September 16, 1959, at Methodist Hospital in Indianapolis, IN. She attended Beech Grove High School. She was employed as a general manager in the restaurant industry. She loved watching the Colts and the Pacers play and taking her parents to the casino. While she had many interests, Linda’s favorite way to spend her time was with her family and friends. She loved her family deeply. Linda was preceded in death by her father, James Brooks and her husband, Ronnie Graves. She is survived by her daughter, Amanda Graves Hazelwood and her husband, Chris; sons, Christopher Graves and his wife, Karen, Jason Miller and his wife, Sarah and Joshua Graves; mother, Virginia “Jenny” Lemons Brooks; brother, Allen Brooks and his wife, Cheryl; granddaughters, Meghan Ogunlola and her husband, Keji, Morgan Krouse and her husband, Austin, Zoey Graves, Demi Graves, Taylor Miller, Paige Hazelwood and Zoehy Hazelwood; grandsons, Marcus Graves, Liam Graves, Joseph Miller and Jacob Hazelwood; great grandson, Malakai Ogunlola; and many other beloved family members and dear friends. Linda’s family will receive friends Friday, June 22, 2018, from 4 – 8 pm at Newcomer Cremations, Funerals & Receptions, 925 East Hanna Avenue, Indianapolis, IN 46227. A celebration of her life will be conducted Saturday, June 23, 2018, at 2 pm at the funeral home chapel. A committal service will follow at Greenwood Cemetery. If you would like to share a memory of Linda, or a special message with her family, please click the “Share Memories” icon above. Add your memories to the guest book of Linda Graves. I remember in my younger years me and my mom and dad (Mickey and Russell White) would come to Indiana from Tennessee to visit, Linda's dad and mom was cousins, we had lots of fun, James would take us places there with Linda and Al. 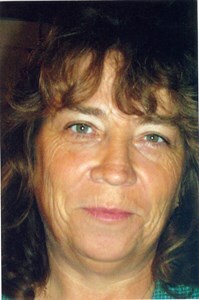 My mom just passed away May 10th this year, I am sure they are looking down on us and welcoming others there. We will miss Linda and James, see ya'll in heaven. I met Linda through my sister, Barbara Draughon. Linda was always so pleasant and smiling when I saw her She did alot to help my sister and when Barbara was diagnosed with cancer, Linda was always there to help. I stayed with Barb when she was very ill and Linda called me almost every day to see if there was anything she could help me with and how Barb was doing. The last few weeks before Barb passed away Linda came to check up on us every day and administer to Barb's needs. Linda was a great friend to all of the Draughon family and myself. May God open the gates of Heaven to you. You were always a hard worker and a caring and loving lady. God has a job for you to do in Heaven, My deepest condolence to all of the family. Thank you Linda for being a faithful friend. You loved your family and friends and would do anything for them. RIP my friend. So many memories of her. She was part our family.. Many nights of playing cards, swimming in our pool, holidays, casino, etc. I loved her sense of humor. She Always made everyone laugh. I'm can't believe I'm writing this for her obituary guest book. I just knew she would be with me until we got old!! My heart is breaking.